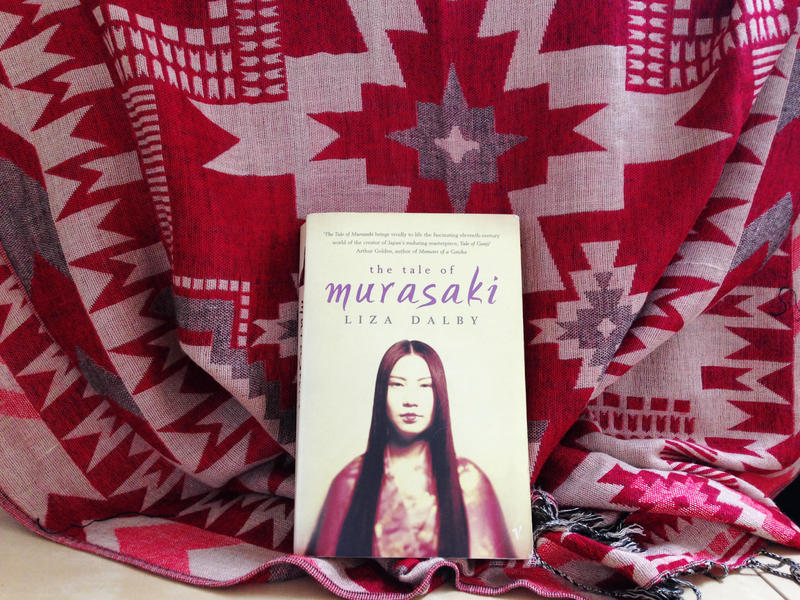 Fun fact: Liza Dalby is the only Western woman to ever be trained to become a geisha, but that's another story for another book. The Tale of Murasaki gives its synopsis in its title. This book is the semi-fictional, semi-true story of the life of Murasaki Shikibu, the author of the classical Japanese work, The Tale of Genji. It begins with her childhood, including the death of her mother and the subsequent remarriage of her father. Her family moves across the country, and we read about her time spent writing, learning Chinese, meeting new people who she begins passionate relationships with, and her eventual introduction into life in the court. We hear these tales in Murasaki's voice, as if it's her writing her memoirs, and scattered throughout are letters she's received from friends in far off places, and short poems (waka, a kind of forerunner to the haiku) she's composed that come from her real published poetry collection. I immediately fell in love with Liza Dalby's writing as soon as I opened the first page, and her attention to detail is absolutely stunning. I'm by no means a scholar of historic Japanese life and culture, but through her prose you can see distinctly how much research she has done to recreate such a complex world. I was most fascinated in this story by the rituals of beauty and the way one must act in court; they're so far from what I'm used to and it certainly made the book even more eye-opening. One example of this would be the practice for women to blacken their teeth (ohaguro) as it was considered more elegant and attractive than having white teeth. I'd never heard of this before. A few weeks later I was watching the Studio Ghibli film The Tale of The Princess Kaguya and there is a scene where she is blackening her teeth as part of the process of being trained as a noble woman. I was sad when this story was over. I had been absorbed into it for over a week, in love with Dalby's prose and connected with her characters. So much happens in the duration of this novel; it feels so wrong for it all to be done now.